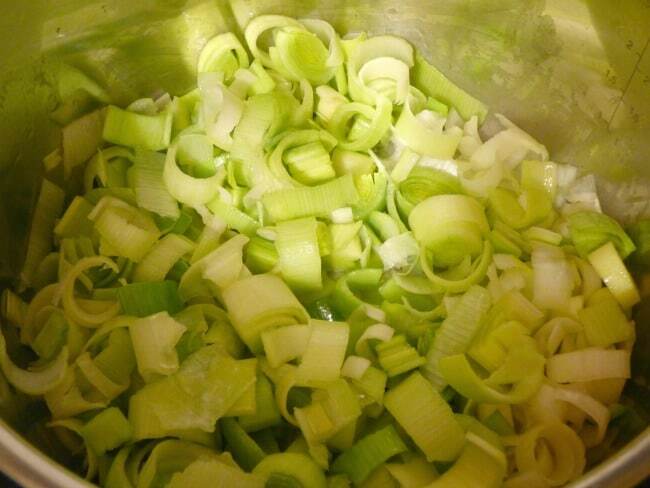 November the 1st is the beginning of the new leek season, a humble vegetable, packed with vitamins and anti-oxidants. 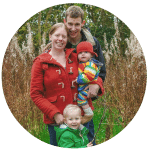 They are even said to be great at keeping those pesky coughs and colds at bay. 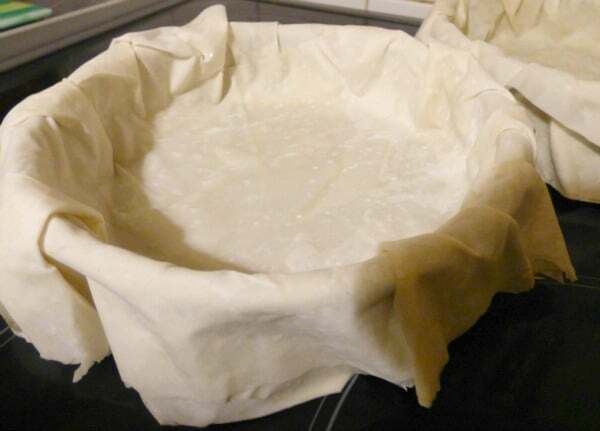 For the pastry cases, cut each sheet of filo pastry into 4 even shapes as square as possible. Lightly brush the sheets with olive oil and layer one on top of each other, slightly off-centre so you end up with 4 stacks of 4 sheets. Mould them into 4 4″ tart cases. Bake tart cases in the oven at 150 degrees Celsius until crisp and golden. 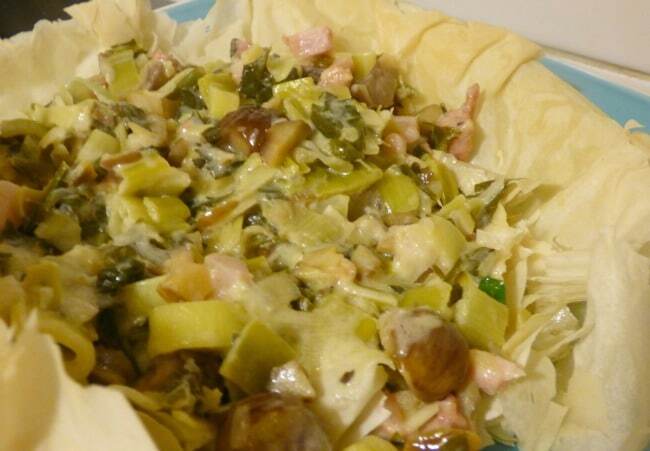 For the filling, melt the butter in a thick-bottomed pan and then add the leeks and cook until tender. 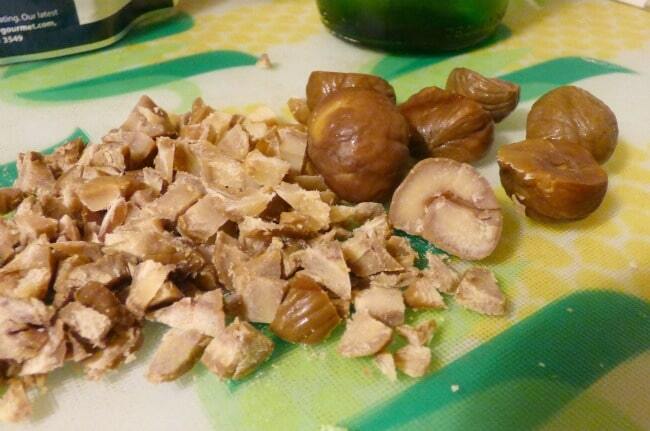 Stir in the chopped chestnuts and simmer for 1 minute. Add the white wine and lemon juice and bring to a simmer and reduce the liquid by half. Then add the whipping cream, bring to the boil and remove from heat. Stir in the Stilton cheese and chopped parsley. Remove tart cases from their tins and place on serving plates, spoon the filling into the cases and serve with a salad. Optional: Add some protein to make it more filling (I added Pancetta to my husbands). I’m sure you will know that the leek is a popular symbol for Wales and in 640AD Welsh soldiers claimed they won the battle against the Saxon invaders by wearing leeks in their hats. And did you know that in medieval times girls who placed a leek under their pillow were said to dream of their future husband? Even if this story is a little far fetched, this tasty vegetable certainly has a great history. 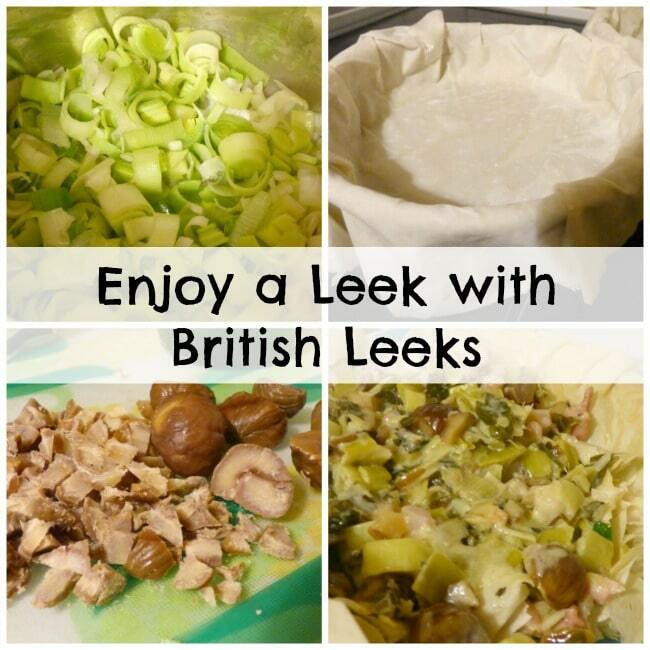 If you want to find more fantastic leek recipes head over to British Leeks. Disclaimer: I received the ingredients for this recipe for the purpose of this post, however all opinions are my own. I love leeks and am very fortunate that my in-laws grow them in their vege patch every winter. Thanks for the recipe I’m always looking for new ways to cook them.